Eweka has been around for a decade now and, to celebrate, they’ve teamed up with IPVanish to offer something to their subscribers. If you have an active account with Eweka, you get free IPVanish VPN service as part of the celebration. If you’re a subscription customer already, you’ll get free IPVanish VPN as long as your account remains active. The company is offering this deal to give something to the people who have remained customers throughout the years. If you sign up for a new account on the Eweka site, you’ll get the free IPVanish along with a 7-day free trial. The free VPN service lasts for the duration of the free trial. This is for new customers only. You don’t have to enter payment information for the free trial program, but you can keep your VPN access if you go ahead and activate the account and remain a subscriber. IPVanish is a top-notch VPN service that comes with its own client. The company has servers located all over the world. 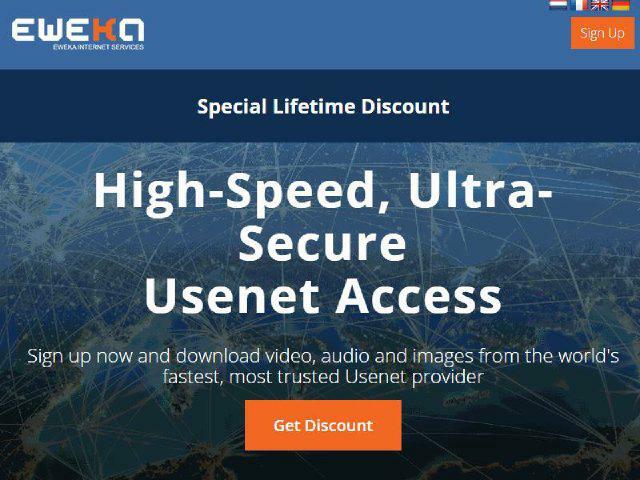 They offer PPTP, L2TP and OpenVPN connectivity, as well as support for mobile devices and DD-WRT routers. Read full review of IPVanish here. IPVanish does not log user traffic and uses a system of IP addresses that make it virtually impossible to detect who was viewing what at any given time. Along with their no logging policy, this makes them a solid VPN provider for people who want to maximize their privacy online. P2P is allowed over IPVanish. Eweka is a European VPN provider that offers a standard 50Mbit account and a high speed account with 100Mbit speeds. The standard account costs €7.50 per month and the high-speed account costs €9,60. They are located in the Netherlands. Full details here.